What is a Good Credit Score. via What is a Good Credit Score. An established credit history and credit score often stands between potential home or car buyers and their dream. But What is a good credit score? What exactly is a credit score? 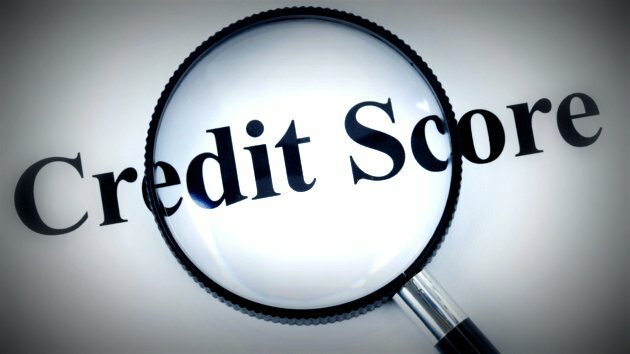 What makes a credit score “good?” How to improve your credit score? If you’re new to building credit there are a few things you need to know in order to keep your credit looking stellar. Your credit score is a numerical representation of your credit report. This three-digit number is like a badge that predicts risk, credit responsibility and determines your interest rates if you borrow money from lenders much like your CLUE Report. While you will be able to get a copy of your credit report you may not find this numerical key listed. Think of your credit score like the cliff notes version of your credit report. There are a few different measures of credit scores between divisions. Based on their own systems different scorers might view certain numbers in many ways. Deciphering your three-digit credit score is quite easy if you know the levels. The range usually runs from 300-850. Good to excellent credit is considered anything from 700 to 850. If your credit score falls in this range you’re going great! Fair credit runs from 625-699, poor runs from 550-624, and anything below 550 is bad. Some finance experts would classify anything over 720 a good credit rating. Experts will disagree depending on their preferred credit rating systems, and in most cases the criteria you use to determine whether or not your credit score is good will not be far off. Having a good credit score is great, but if you don’t know how to use it you could be missing out on some crucial credit building. Credit scores are used in varying ways by lenders and banks. One thing your credit score implies is how likely you are to pay back debt. Basically it announces how reliable you are as a borrower. People with good credit scores are more likely to pay back funds that they borrow while those with lower scores aren’t so reliable. Lenders like reliable borrowers, and good credit points them out. But a credit score does much more than predict whether or not you’ll pay a loan back. When it comes to buying a house or car, there is an interest charge. Higher credit scores usually have a lower interest rate than those with bad to fair credit. Lenders not only base whether or not they’ll approve a loan by your credit score, but also how much interest to charge. If your credit is in good standing your interest rate won’t be as high as someone with bad credit. Your credit score saves you money with lower interest rates. In order to build and maintain good credit you must first know how your score is determined. Once you know what goes into a credit score you can begin building your credit or nursing your score towards higher digits. Credit scores are based on your financial history only, and laws prevent your score being affected by things like race, gender, age and where you live. What is included are items such as your payment history, your current credit debts, age of your credit history, new credit items added to your accounts and types of credit used. Many people avoid credit based on all the negatives they’ve heard against it, but neglecting your credit score hurts your chances of being able to make major purchases in the future. The best way to build credit is to use credit, and forming the following good credit habits early will pull your low score to higher ground. Pay bills on time – This is the easiest and best way to boost your credit score. Since the bulk of your credit score comes from your payment history, paying bills on time will pull you up quickly. Not only will that help, but a recent and consistent history of paying bills on time overshadow a period long in the past where you may have missed payments. Budget – Setting up a budget and staying within its parameters will keep you from overspending and using credit for frivolous things. Although using credit builds credit not being able to pay it off hurts more in the future. Use all your credit cards regularly – If you have a few credit cards try to use them from time to time in order to show that you use all of your accounts. Remember that the last usage of an account is 15% of your score. If you want to start repairing a bad credit history or start building yours, find out what your credit score is. I use Credit Karma to check mine, you can check out my review of Credit Karma or if want just apply here –www.creditkarma.com. Making your way to a good credit score and keeping your score high won’t be a financial nightmare when you know how to build it and what it means financially. Buy a Home with No Down-Payment or Refinance Your Mortgage to 100% Just a few years ago, most mortgage companies offered no money down home loans, but today only there are only a handful of experienced lenders offering the USDA and VA home loans. Don’t miss out on affordable mortgage rates for no equity mortgages. Now is the time to discuss no money down home buying or no equity refinancing while rates are low and the programs still exist. More Info on Kentucky RHS – Support Rural Definition Amendment for Kentucky USDA Programs – Please read carefully and ACT NOW!!! On July 31, 2012 Congress passed a 6-month Continuing Resolution (CR) to fund the government through March 31, 2013, avoiding a messy fight over the FY13 Appropriatios bills. At this time, the Continuing Resolution (CR) is our best opportunity to enact a solution to USDA’s “rural” definition issue before the October 1, 2012 deadline for RHS. PLEASE CALL OR EMAIL YOUR REPRESENTATIVES TODAY AND EVERY DAY and ask them to sign on to Rep. Fortenberry’s letter to Appropriations Chairman Hal Rogers, urging the Committee to address the “rural” definition issue in the Continuing Resolution (CR). The CR is our best opportunity to address these issues before the October 1st deadline. If the House does not enact a solution to the “rural” definition issue, USDA will move forward with the below changes on October 1st. The Senate already has a provision in their appropriations bill. Now, we need the House to act. When you call or email your Representative make sure they know that without this CR, the October 1st changes will serve a massive blow to affordable housing in rural communities. Please, don’t think that someone else will make the calls or send the emails. It is up to YOU! Also contact all the Realtors and Builders that you know because it affects them too! Ask them to call their Representatives as well. Representative Hal Rogers is the Chairman of the Agriculture Appropriations Committee. The Farm Bill is currently in the House of Representatives Agriculture Appropriations Committee for review. Hal Rogers is in favor of the changes we are requesting. Even if he is not your Representative contact him anyway so that he can provide more fuel to the committee as to the importance of this bill – he’s on our side. CLICK HERE TO CONTACT HAL ROGERS.